The HUMANITARIAN PROJECT IN MOMBASA is dedicated to bettering the lives of impoverished children, their families and communities. Its operation is guided by both international and national laws. Committed to turning the tide of HIV/AIDS across Kenya, with free access to counseling after-school tutoring, mentoring, providing clean water and recreational programs on self feeding and self funding to the affected families. 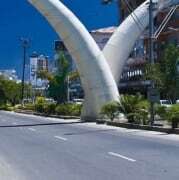 Would you recommend HUMANITARIAN PROJECT IN MOMBASA?